We are a group of mixed ability runners who meet at the corner of the Leys closest the little toilet block ready to run at 7pm every Tuesday. 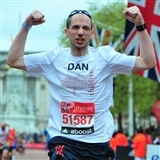 Sessions are led by Dan, a UK Athletics qualified coach, last about 1 hour and are free. The sessions are managed so that everyone can work at their own speed whilst keeping the group close together and Dan will always run (or walk) with whoever wants to go slowest. The best way to understand how the sessions work and how friendly the group are is to come along to a session. You'll be surprised at what you can achieve. At the corner of the Leys nearest the public toilets.